Abby Doll and Alex McCusker pose for a picture at the Clubs Fair. Staff Photo: Caroline Frantz. This year, there are many new student-run clubs on campus, one of which is the Make-A-Wish Club. This club was started by senior Abby Doll, and sophomore Alex McCusker is helping to run it. 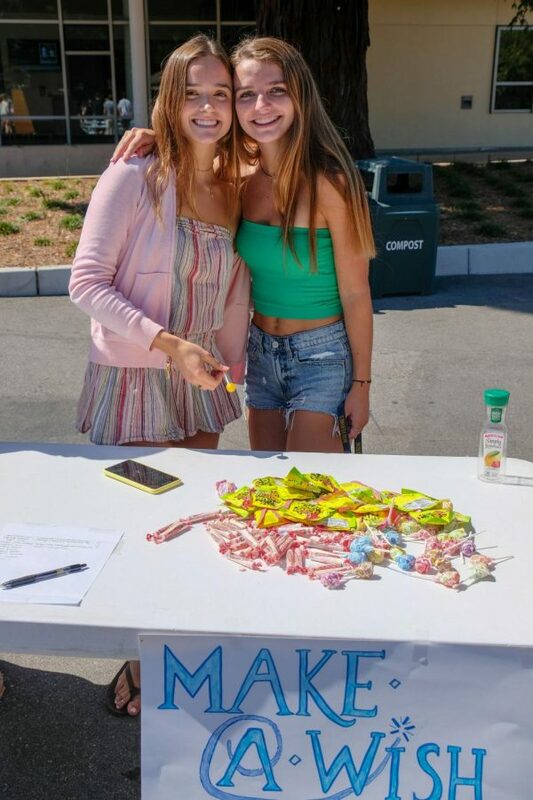 With the help of an employee at the Make-A-Wish Foundation, the club hopes to put on several fundraisers throughout the year, in order to get enough money to grant a child a wish. The Make-A-Wish Foundation is a non-profit organization that helps fund wishes for children with critical illnesses. Through fundraisers and events, the foundation helps grant wishes that will change a child’s life and help them make childhood memories that are separate from his/her illness. Doll was inspired to start this club after working over this past summer with an organization called Give Kids the World in central Fla. This organization helps provide housing and transportation for the thousands of children and their families who use their wish to travel to Florida to visit Disney World and other theme parks in the area. Give Kids the World is connected to the Make-A-Wish Foundation, and while working there Doll thought of the idea for the club. Make-A-Wish club meets every other Tuesday to discuss and plan fundraisers. Doll hopes that many people in the Menlo community will want to help and get involved.